PRESS CONFERENCE: HOW much longer will BELGIUM support ERDOGAN? HDP Group Deputy Chairperson and İmralı Committee Member İdris Baluken held a series of meetings in the Council of Europe (CoE) and the European Parliament (EP). Baluken spoke to ANF and said that the isolation of the Kurdish People’s Leader Abdullah Öcalan was discussed in the meetings. Speaking to Hawar News Agency (ANHA), Rojava’s Kobanê Canton Executive Assembly Co-President Enwer Muslim remarked that the people of Kobanê formed their own institutions and started to rule themselves in the wake of the July 19 Revolution. “We don’t remember another fascist leader in world history who openly admits to his cruelty like Tayyip Erdoğan. Tayyip Erdoğan now says he will end the Kurdish people, with no need for any covers. Some Kurdish cohorts may wish to cover up Tayyip Erdoğan’s fascist face, but Tayyip Erdoğan tears through those covers. He says he will end the Kurd. He says there can be no nation, no political will, no administration on these lands except for the Turk. Talking of the “One” every day, he displays his mindset by saying he will not recognize the Kurd, the Kurdistan and the political will of the Kurds. They all say they will continue this war until the last guerilla is gone. A seminar titled “Which direction is Turkey going?” was held in the Freedom of Expression Building in Norwegian capital Oslo. The seminar was organised by Norwegian Editors Association, Journalists Society, Press Union, University of Oslo, Publishers Union and Freedom of Expression and PEN Norway. PEN International Vice President Eugene Schoulgin attended the seminar as a speaker while the speakers from Turkey were Freedom of Thought and Expression Initiative Spokesperson Şaner Yurdatapan and journalist Ragıp Zarakolu. Syrians are cautiously enjoying a period of relative calm this week thanks to the US and Russian-brokered ceasefire. The agreement between several rebel groups and the Syrian government came into effect at sundown on Monday, timed to coincide with the beginning of the Eid-al-Adha festival. While several infringements have been reported, no civilians are thought to have lost their lives in the first 48 hours. Syrian Kurdish groups and their allies will approve a constitution for a new system of government in northern Syria next month, a top Kurdish politician said, defying a Turkish incursion aimed at curbing Kurdish influence in the area. When Newsweek asked for my evaluation on the Turkish government’s legal proceedings against me after my 2015 speech, in which I stated my support for the Kurdish People’s Protection Units (YPG) and the Democratic Union Party (PYD)—who fight the Islamic State militant group (ISIS) on a daily basis—the ISIS suicide attack on a wedding in Gaziantep in Turkey’s southeast had not yet taken place. The Turkish government had not yet ventured into Syria. 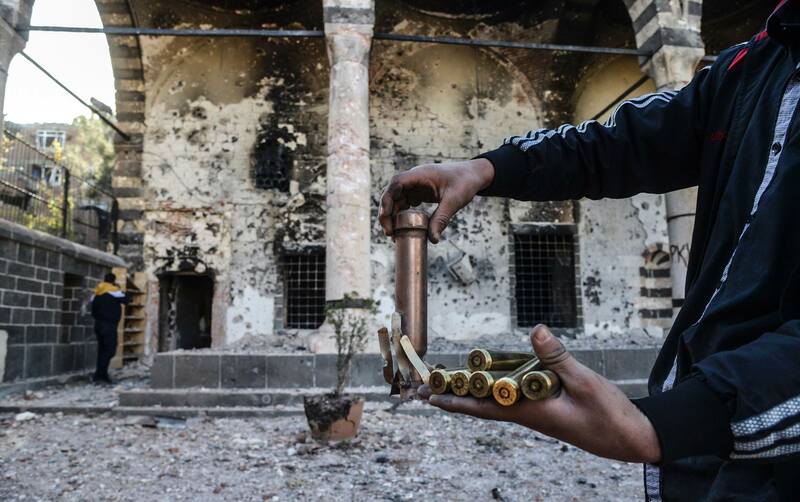 Above all, we weren’t this close to an even-wider regional war and a civil war in Turkey. ERBIL, Kurdistan Region (Kurdistan24) – In Turkey, a government-appointed trustee who on Sunday replaced an elected mayor in the town of Giyadin (Diyadin) removed the Kurdish signboard of the town’s municipality he now runs, leaving only the Turkish name. A senior US official on Wednesday said that the Kurds are part of the cessation of hostilities in Syria and should not be attacked, and are present near the key Castello Road in Aleppo. Syrian Kurds were angered by the recent transition plan, proposed by the opposition’s High Negotiations Committee, as the plan does not envision any form of federalism in post-war Syria. 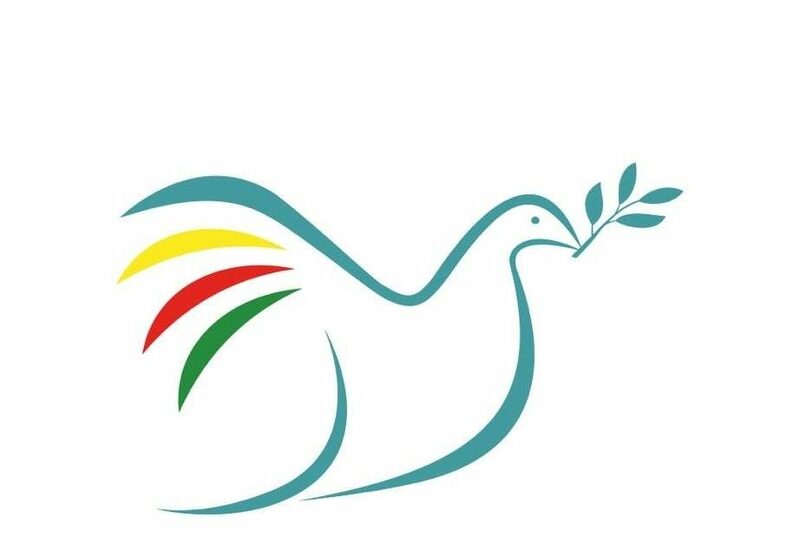 Experts suggest that the Turkish government will not listen to the new calls for peace by the imprisoned Kurdish leader Abdullah Ocalan. Mehmet Ocalan, the brother of the Kurdistan Workers Party (PKK) leader Abdullah Ocala, visited the imprisoned leader on Sunday. Family members were not allowed to visit the Kurdish leader for over two years. 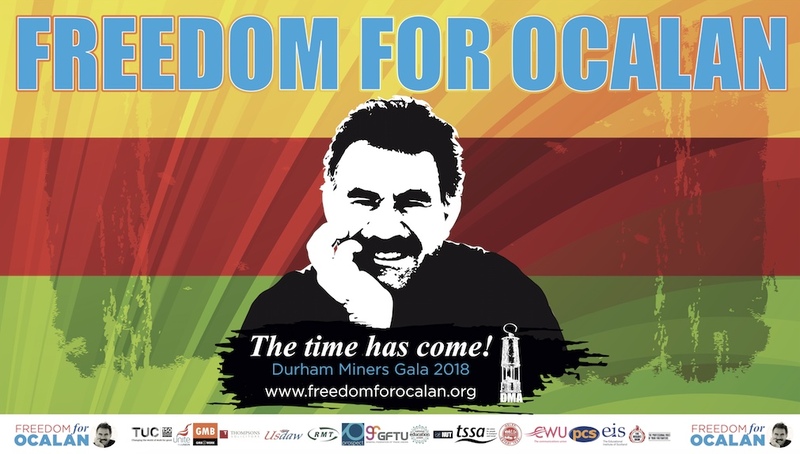 TENS of thousands of Kurds from across Germany and Europe rallied in Cologne on Saturday demanding freedom for jailed liberation fighter Abdullah Ocalan. More than 1,000 police were drafted in after organisers were prevented from using the local football stadium, the site of previous years’ events. The festival, which was held in 1992 for the first time, has been held in various German cities since. The festival was not allowed in 1995 due to the PKK ban in Germany. Previously organised by YEK-KOM, the festival is organised by Navenda Civaka Demokratîk a Kurdên li Almanya – Democratic Kurdish Society Center in Germany (NAV-DEM) since 2014. The agreement between the US and Russia on a ceasefire in Syria to begin at sunset this evening may work because these two powers are the heavy hitters in the Syrian conflict. They are powerful enough to get their allies and proxies to go along with the deal under which there will be a seven-day truce during which UN aid convoys will enter besieged areas. Turkey’s military intervention in northern Syria (Operation Euphrates Shield) has raised both hopes and concerns about defeating the Islamic State of Iraq and the Levant (ISIL). While some regard it as a positive turning point in the anti-ISIL fight, particularly after Turkish and Free Syrian Army (FSA) forces quickly expelled ISIL from the strategically important border town of Jarablus, others see the incursion as a further setback. Turkish attacks on the U.S.-backed Kurdish People’s Protection Forces (YPG) — the military wing of the Democratic Union Party (PYD), an affiliate of the Kurdistan Worker’s Party (PKK) and the most effective anti-ISIL force in Syria — may leave Washington trapped between allies fighting each other in Syria. Underlying these scenarios are assumptions that Ankara has fundamentally changed its strategy, that Syrian Kurds are vital to defeating ISIL, and that a portending U.S. “betrayal of the Kurds” will undermine their will to fight and the effectiveness of the campaign. It may have been just lazy journalism, but a BBC Radio 4 news update stated how Turkey was now determined to beat both Daesh (Isis/Isil) and YPG “terrorists”. No qualification or caveat was added to that statement, in spite of the fact that the Kurdish-led YPG has been at the forefront of the fight against Daesh. It was just left like that. Religious holidays were seen as opportunities to heal social wounds and settle disputes. But nowadays that practice appears to further deepen existing political and ideological fissures while enabling millions of Turks to hit the roads for short holidays. We the undersigned call upon democrats throughout the world, as well as those who care about the future of Turkey and the region in which it exerts a leading role, to protest the vendetta the government is waging against its brightest thinkers and writers who may not share their point of view. In the wake of the failed military coup in Turkey, and the massive wave of state repression that has followed, building solidarity with the progressive resistance in Turkey and Kurdistan is even more vital. The attention of socialists and democrats worldwide will be turned towards the reactionary mobilisation that the ruling AKP has unleashed. This will put the HDP (Peoples Democratic Party) and the PKK (Kurdish Workers Party) centre stage. Chair, conference, Unite the Union moving emergency motion on Turkey and solidarity with the Kurdish population. Colleagues it’s absolutely right that various unions have come together to submit this motion to conference. Anyone with even one eye on the news will have seen the dramatic deterioration of the situation in Turkey and the slide towards a violent and authoritarian regime. While this has been going on the wider world has kept disgracefully quiet, in the hope that if they say nothing then President Erodgan will stick to the deal and keep the refugees from Syria in Turkey and stop them disturbing us here in Europe.